Berkshire Hathaway HomeServices Verani Realty has 50 years of experience helping builders and developers market and, most importantly, sell their listings. Our experience and knowledge has earned us national recognition by Berkshire Hathaway HomeServices, including their Legend 5 Year Award for five straight years of consistently high sales performance. When you work with Verani Realty, you have access to an entire team dedicated to your project's success. Our staff has experience in development, so they understand the time, costs, and opportunities associated with building and selling new homes. Each new home agent has also received training specific to new home sales and have completed the National New Construction Certification Program, so they know how to connect with your ideal buyer. Margherita has been a licensed broker in real estate since 1972 and has extensive experience in the building and marketing of new construction properties. She is knowledgeable in the development process and local governments, and has personally developed residential building parcels. 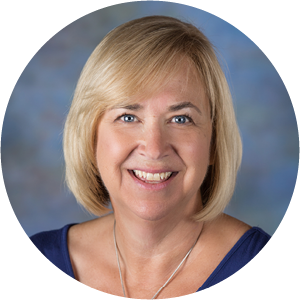 Gail brings 32 years of real estate experience from sales, management, general contracting, and land development. She has been a sales manager in the Nashua and Windham, NH marketplace, as well as a New Homes Project Leader. Gail has the vision and persistance to see a vacant piece of land become a thriving community. "Over the years GFI Partners has had the opportunity to work with Berkshire Hathaway HomeServices Verani Realty New Homes Division and their New Homes Sales Team. The team has proven to be invaluable in providing advice on the marketing of our new home communities, and we have found them to be professional, knowledgeable, and helpful. We would have no hesitation in recommending them to any developer seeking professional advice and proven results." "Our partnership with the New Homes Division of Berkshire Hathaway Home Services Verani Realty has been a very productive and profitable endeavor. Their professionalism and ability to overcome the many challenges of selling new home communities is unsurpassed, and they offer excellent guidance on marketing, pricing, target consumer and home offerings. Their knowledge and experience have helped us grow our business and obtain lifelong customers. We would recommend them to any builder or developer seeking to improve their business through their Real Estate Professional partnership." "Gail Nickerson and the Berkshire Hathaway Verani New Homes Division bring a deep understanding of marketing and selling new construction residential homes. Gail grew up in the business, which means she can relate to the builder's perspective and has literally seen it all. She has her finger on the pulse of competitive projects so we position ourselves uniquely in the marketplace, and she is willing to listen to feedback and experiment with the latest digital marketing tools." "I would highly recommend Verani's New Homes Division. They have highly qualified and experienced personnel with decades of real estate experience. They are all well versed in the idiosyncrasies that go along with new construction. New construction certainly differs from selling existing homes. Because of their comprehensive market analysis, they can identify the most likely target group of prospective buyers."